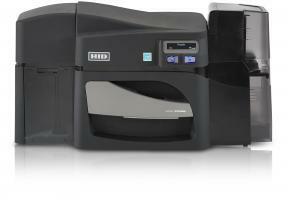 The Fargo DTC 4250e ID Card Printer is a powerful solution to print secure ID cards and badges on demand. WHAT ARE THE MAIN SPECIFICATIONS OF THE FARGO DTC4250E ID CARD PRINTER? 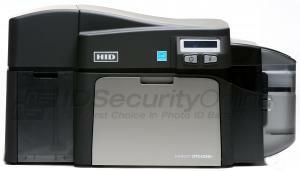 The Fargo DTC4250e ID card printer is a secure and durable choice to print high-quality ID cards reliably. 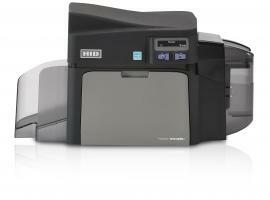 WHICH OPTIONAL FEATURES CAN I ADD TO MY FARGO DTC 4250e ID CARD PRINTER? WHAT TYPE OF CARDS CAN I PRINT WITH MY FARGO DTC 4250E ID CARD PRINTER? The Fargo DTC 4250e ID card printer is a versatile solution that will allow you to personalize any type of badges. Time & attendance badges: track your employees, visitors or students with one photo ID badge. Event passes: print event badges on demand with the compact yet fast printer.